Who would have thought that you could have so much fun hanging off the side of a cliff! 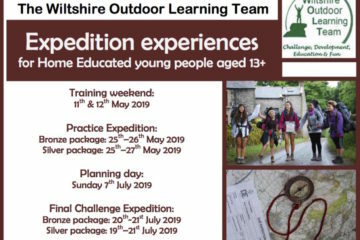 But that’s exactly what happened when my 12 year old and I decided to accept an invitation from the Wiltshire Outdoor Learning Team (WOLT) to join them in an afternoon’s abseiling off a cliff face near Wells. Over the past few years, we’ve enjoyed any number of family adventure experiences with the team from WOLT, including forest schools, paddle boarding, zip lines, tree trails and archery, so when the invitation came through, we knew we were in safe and competent hands. 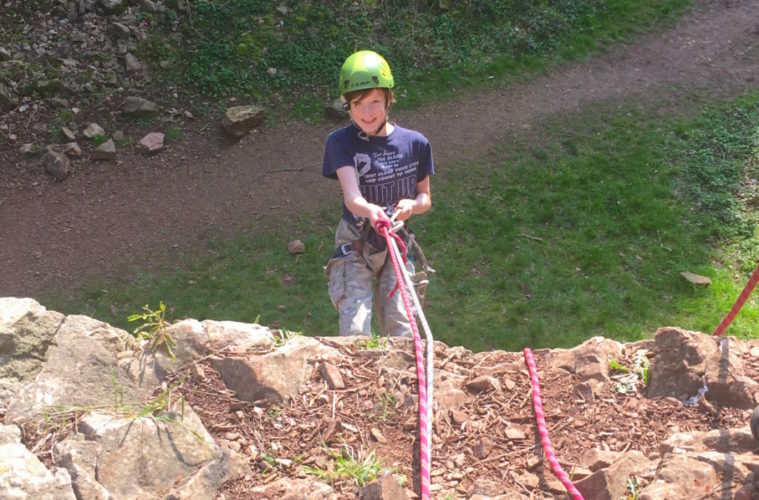 So it was probably just as well that we started out on a much less daunting cliff, with one of Darren’s colleagues, Dan, soon talking us through the safety aspects of the abseil and what would happen next. What actually did happen next was me hanging off the side of a cliff! Yes, I’d done this before years ago and yes, I wanted to show my young son there was nothing to worry about. But also yes, I was a bit nervous. 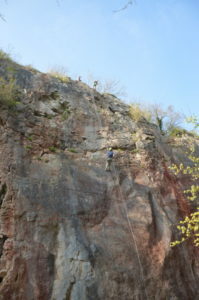 In fact, by following Dan’s instructions, my first abseil in 20 years was amazing, hugely enjoyable and even including a few jump outs from the cliff face in an effort to look like a stand in for the next Mission Impossible movie. 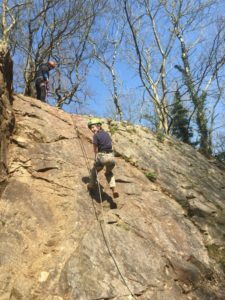 Being a relatively low level cliff face, this first abseil took no time at all and I was soon clambering back up to watch my young ‘un having a go. And like young ‘uns go, after an initial spot of reluctance, he was soon off and away, and grinning all the way down. Bring on the biggie! The thing is, the biggie is quite considerably bigger… Still, the technique was the same, and our fellow parents and children went off before us with huge success, which boosted our confidence no end. Now there is something unnatural about dangling from a rope off a 30m cliff by choice – even with safety ropes, safety harnesses and safety helmets involved. So yes, quite naturally, the nerves jumped up a level or two from the training cliff. But again, the instruction was superb and there was no pressure. Indeed, when my son requested a return to the training cliff first, just to help his confidence, that was no problem at all. Now, fully prepared, we were both ready – one at a time – for the biggie. Would we recommend an abseil with WOLT? Absolutely. All three parents and child double acts on our day at Split Rock Quarry had a great time and promised ourselves another go as soon as possible. WOLT’s next session will be on Saturday 27 July. You’ll need to be aged 9 and above to take part, not weigh more than 19 stone and have neither back problems or be pregnant.